Ladies of Harley (LOH) is a program sponsored by the Harley Owners Group (H.O.G.) to support women motorcycle enthusiasts - both drivers and passengers. It is not a separate organization within H.O.G., but was established to encourage women to become more active in H.O.G. and their local chapters. Remember, you don't have to have your own bike to be a LOH member. We encourage women to participate in chapter events as well as functions specifically for the ladies. How do you become a member of Ladies of Harley? You must first be a member of the National H.O.G., then you can join your local chapter. You can be either a full or associate member. Ladies of Harley membership also allows you to participate in all LOH activities at various H.O.G. rallies and events. There is no additional fee to be a Ladies of Harley member. 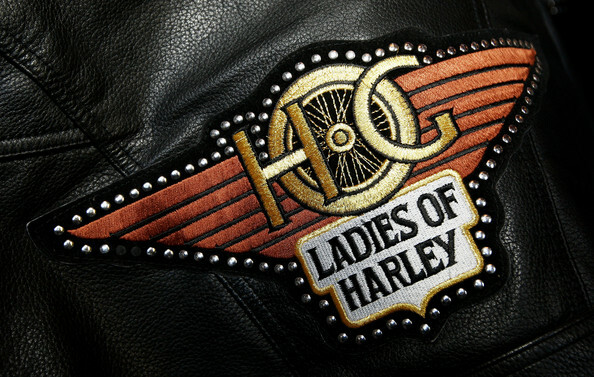 Ladies of Harley offers members a special embroidered patch and a pin during the first year of membership. Each renewal year, LOH members will receive an LOH pin indicating the year of membership.